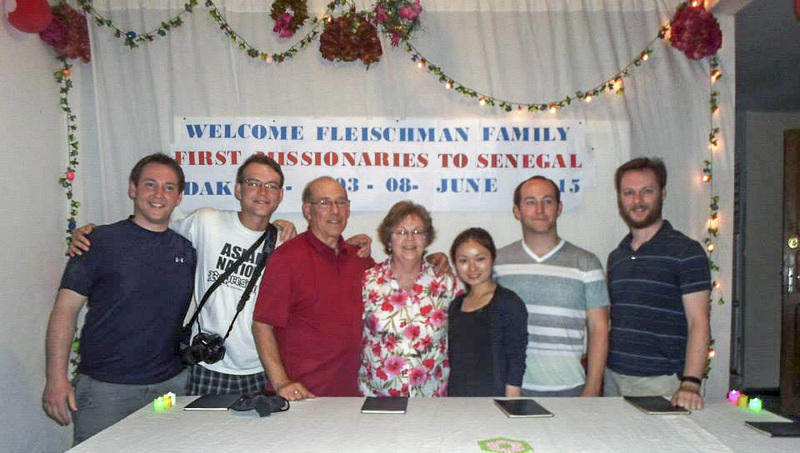 By FFWPU USA: Justin and Pat Fleischman began their mission work in the West African country of Senegal in 1975. Forty years later, the Fleischmans—along with four of their five sons, three of whom were born in Senegal, and two daughters-in-law—returned to the country from June 3 to 10, 2015, for the first visit in 23 years. Upon arrival, they were greeted like family by the local Unificationist congregation. It was a thrill for Justin and Pat to meet familiar faces—those who were young and single when they left, but who now greeted them with families of their own. For the locals, it was a warm reunion with the missionaries, whose 17 years there represent the longest presence by any missionary to the country—what they consider a direct reflection of True Parents’ love for Senegal and its people. While rekindling friendships, the Fleischman family also had the opportunity to witness the many wonderful projects of which the local Senegalese Unificationists are a part.